FAA says 43 flights were held up after drone sightings - SABC News - Breaking news, special reports, world, business, sport coverage of all South African current events. Africa's news leader. Tags: Drones, FAA, Department of Homeland Security, Newark Liberty International Airport, Federal Aviation Administration, Teterboro Airport. Flights into Newark, the 11th busiest US airport, were suspended after a drone was seen flying at 3 500 feet over nearby Teterboro Airport. 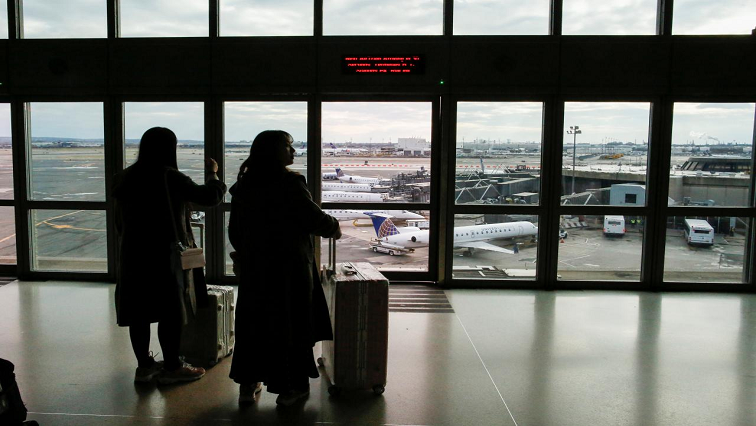 The Federal Aviation Administration said on Wednesday that 43 flights into Newark Liberty International Airport were required to hold after drone sightings at a nearby airport on Tuesday, while nine flights were diverted. An FAA spokesperson added that the event lasted for 21 minutes. The flights into Newark, the 11th busiest US airport, were suspended after a drone was seen flying at 3 500 feet over nearby Teterboro Airport, a small regional airport about 27.3 kilometres away that mostly handles corporate jets and private planes. The issue of drones impacting commercial air traffic has taken on new urgency after Gatwick Airport, London’s second busiest airport, was severely disrupted in December when drones were sighted on three consecutive days, resulting in about 1 000 flights being cancelled or diverted and affecting 140 000 passengers. The FAA had initially said it had reports of two drones on Tuesday evening, but has since clarified to say it had two reports of one drone in northern New Jersey airspace. Earlier in January, the US Transportation Department proposed rules that would allow drones to operate over populated areas and end a requirement for special permits for night use, long-awaited actions that are expected to help speed their commercial use. There are nearly 1.3 million registered drones in the US and more than 116 000 registered drone operators. However, officials say there are hundreds of thousands of additional drones that are not registered. Drones FAA Department of Homeland Security Newark Liberty International Airport Federal Aviation Administration Teterboro Airport. This entry was posted on 23 Jan 2019,08:31PM at 8:31 PM and is filed under Sci-tech, Homepage Latest Stories Slider. You can follow any responses to this entry through the RSS 2.0 feed. Both comments and pings are currently closed.